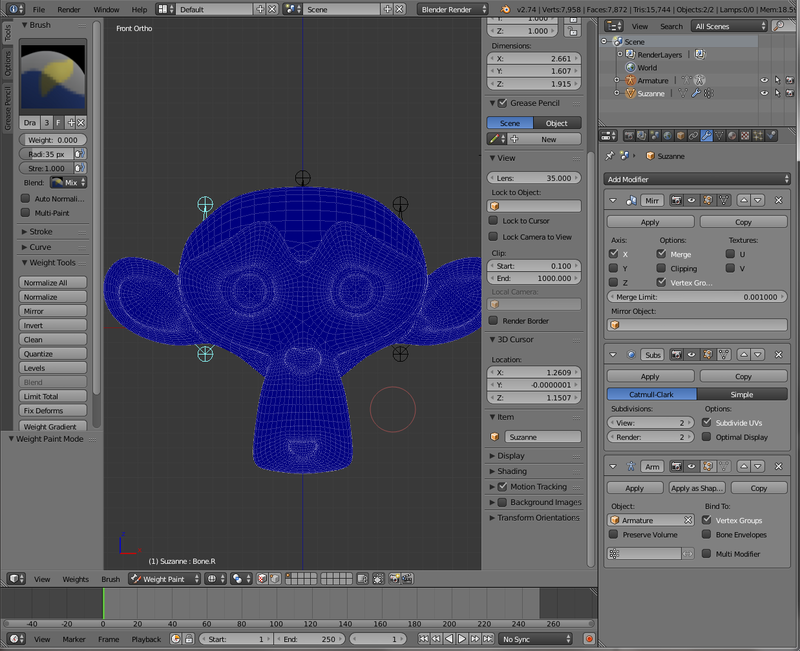 I would like to rig a mesh (for example Susanne, the monkey) manually, using 3 bones, and this object uses a mirror modifier and a subsurf modifier. The left bone has 0 vertices assigned yet and the right bone has a few vertices assigned. 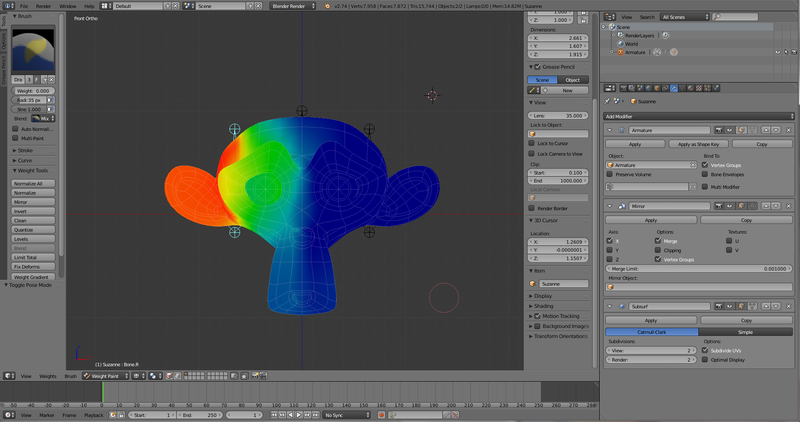 Because of the mirror modifier, when I weight paint the right side, the left side will also be painted, which means that both sides are controlled by the right bone. 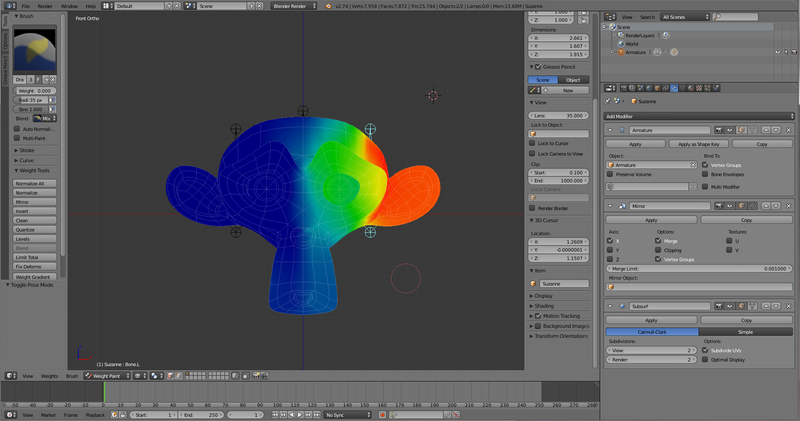 How can I solve that only the right side is weight painted with mirror modifier, without applying the mirror modifier? It always surprises me how few people seem aware of this behaviour. 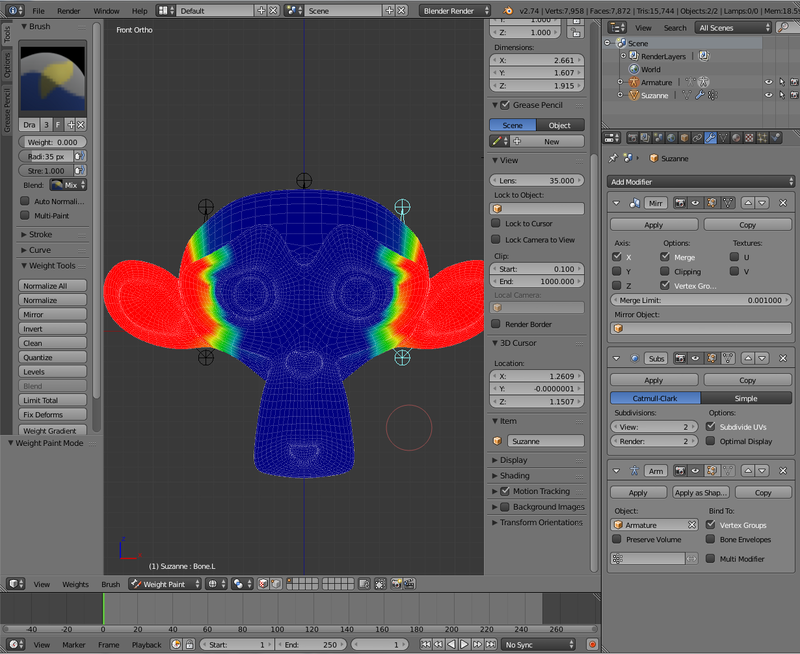 When you apply the mirror modifier, uncheck the vertex group box before clicking apply. You have probably discovered the answer already, but I ran into this problem and was researching this and couldn't find an answer anywhere until I followed a few suggestions that didn't make any sense until I arrived at the solution :P Happy creating! How to apply Mix Shader to a mesh via the Weight Paint tool?